The same moon posted earlier but now with color camera, performed the same day, in a few moments, even filter. They changed the position of the camera and also the camera, as I said, a color camera, I preferred not to do the image rotation because I liked this angle more. 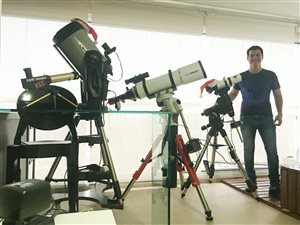 The most difficult is for full moon images, without mosaic, and 'hit the whole moon gain, so that some region does not make a profit like Copernicus. 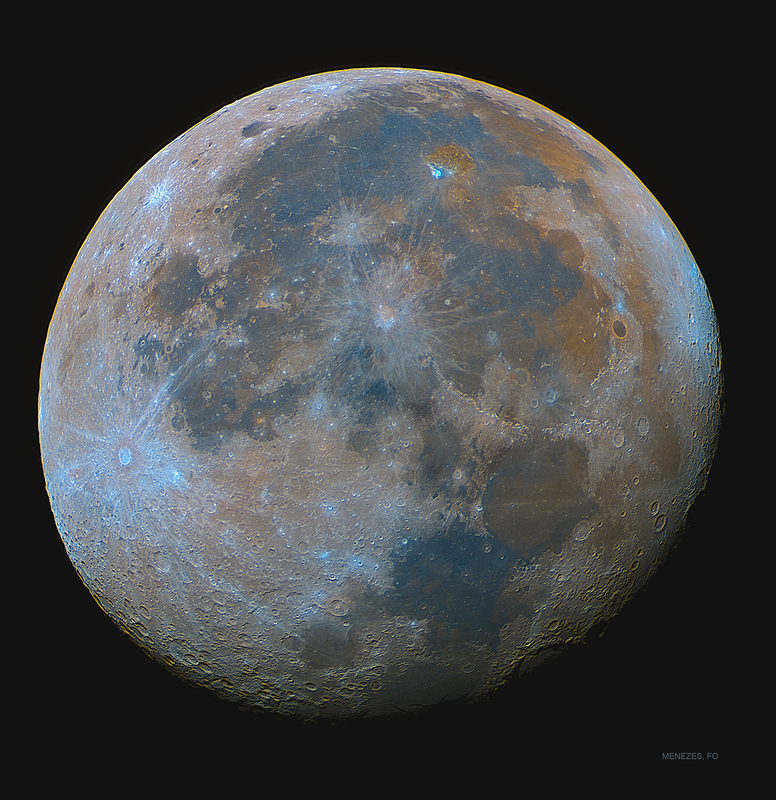 The colors indicate the concentration of minerals on the moon, not just illustrative. more colored, indicating a basal lava concentration.